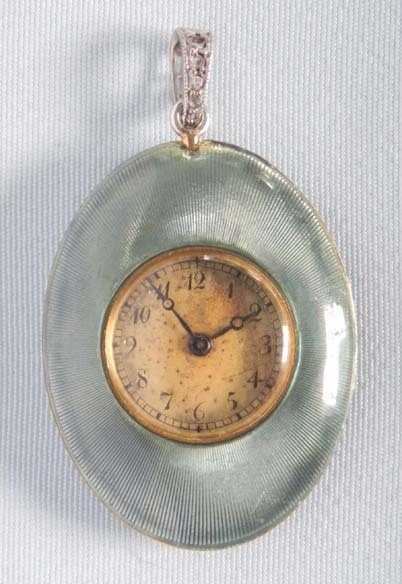 Fine 18K gold, diamond and painted enamel ladies antique pendant watch by Verger, Paris circa 1890. The case back in grey enamel over engine turning centered with an impressionistic painted enamel Hercules within a diamond set border. Small edge repairs. 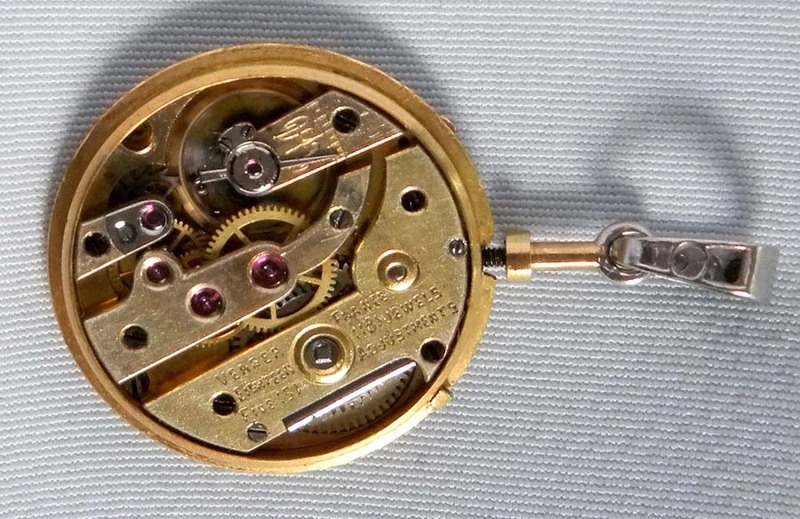 Original faded gilt dial with blued steel hands. 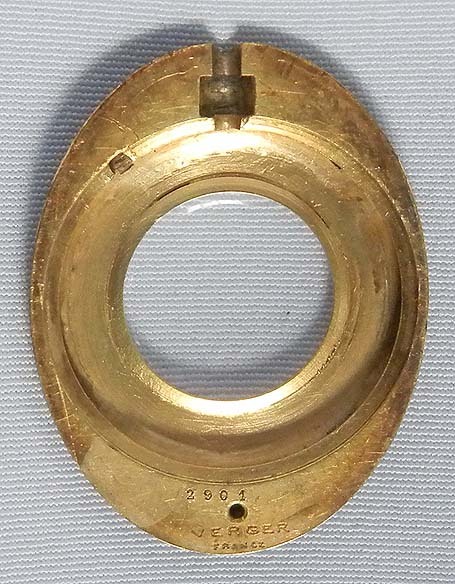 Fine gilt 18 jewel 5 adjustment movement. Unusually the bail and ring serve as a winding crown. Signed on the case and movement. The house of Verger was established in 1872 by Ferdinand Verger, an accomplished manufacturer who was both a jeweler and a watchmaker. Ferdinand Verger worked as an agent for Vacheron Constantin, and this developed into a long-lasting partnership. He primarily created pieces for many top retailers, including Hermes, Van Cleef & Arpels, Boucheron and Cartier. 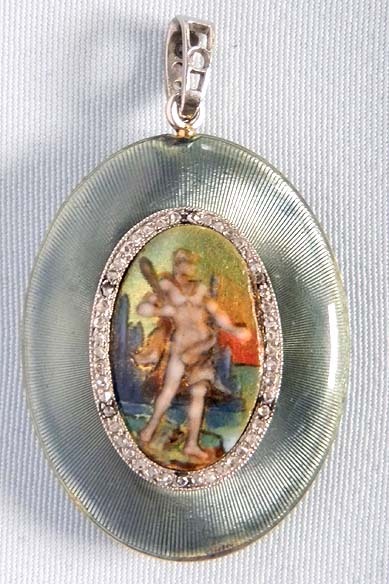 Verger also produced fine pieces under their own name.